Today is turning out to be one of the slowest days in history as we patiently await the release of the Power Lacing Nike MAG… and they’ve been sighted in New York City. 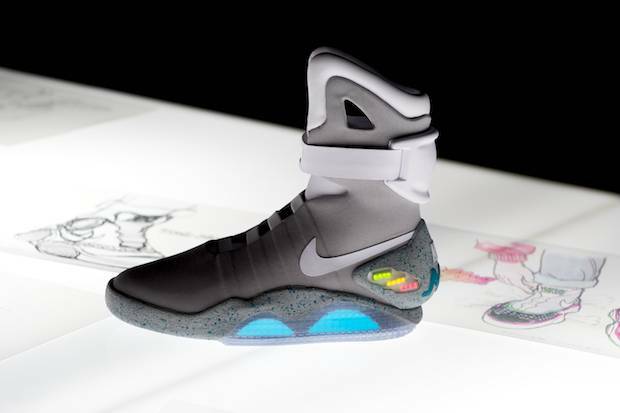 Designed as a film prop for the 1989 hit Back To The Future II, the shoes were from the future, except today is that day in the future. So where are they? Nike patented the Power Laces system in 2009, dropped 1-to-1 replicas in 2011, hinted via online videos that it would happen, so we’ve been expecting them.